A good practice guide has been produced for Eye Clinic Liaison Officers (ECLOs) and other support staff who work with children, young people and families in an eye clinic setting. Most children with a vision impairment are born with their eye condition so they and their families have a different set of needs to older people, whose sight loss tends to occur later in life. 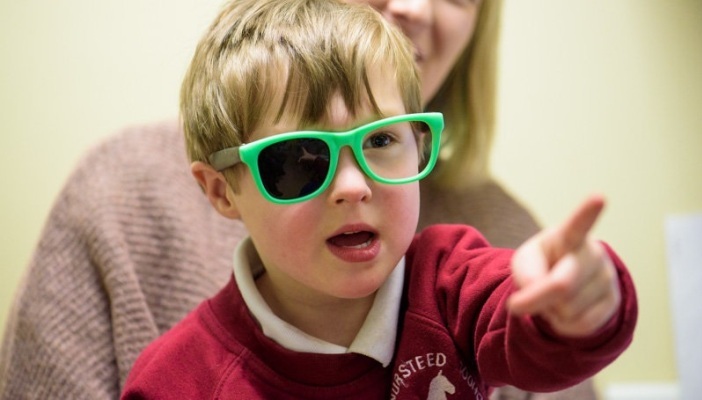 The latest figures from the Sight Loss Data Tool show there are over 40,000 children and young people living with sight loss in the UK. As many as 50 per cent may have additional needs. ECLOs are well placed to offer information and advice to children, young people and their families and refer to local authority vision impairment services. Find out more about RNIB’s Services for children and young people. RNIB have a range of good practice guides including for people with learning disabilities; people with dementia; supporting people with sight loss around employment and integration into the Eye Clinic. ECLOs play a crucial role in supporting people who have been recently diagnosed. How can the service be expanded?